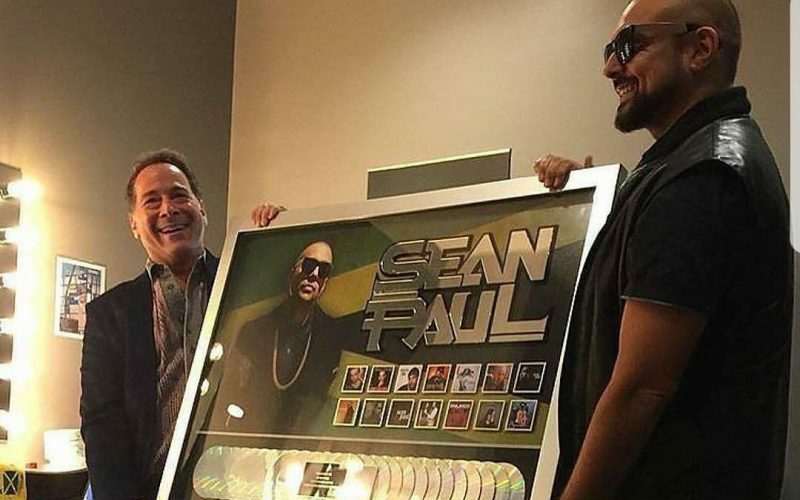 Sean Paul received a plaque from the Recording Industry Association of America (RIAA) for selling over 26 million records. The “Cheap Thrills” deejay is one of the most commercially successful artists in dancehall history and last month he again reminded his comrades at home in Jamaica and his fans globally why he will go down in history as one of the greatest. Sean Paul also received platinum plaques for his 2003 mega-hit single “Get Busy” and his 2005 chart-topper “We Be Burning.” He also received a plaque for his single “Temperature” which has been certified three times platinum. Overall, SP has sold over 26 million records over his career. Sean Paul recently signed a new deal with Island Records and is currently working on his new album while he toured with fellow dancehall star Chi Ching Ching.